Art et Industrie gallery, Housatonic, Massachusetts. 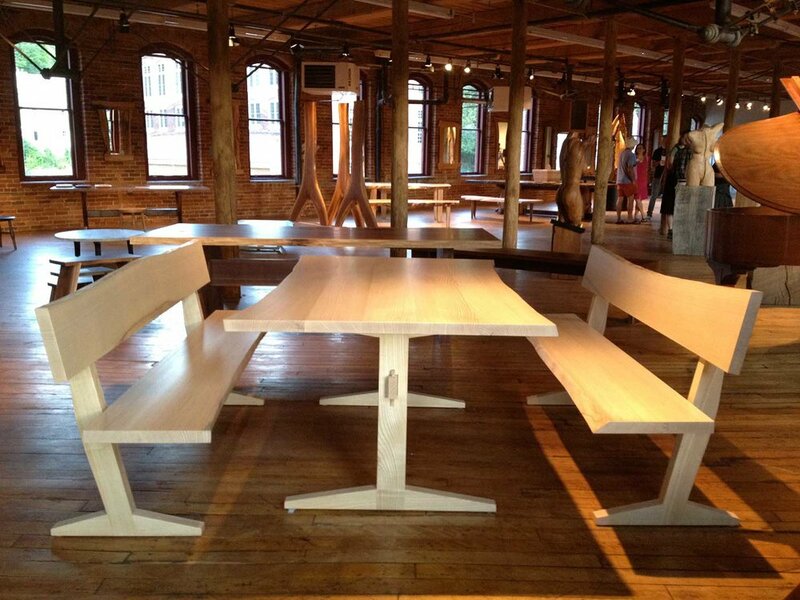 Trestle table and cantilever style benches in quartersawn white ash sapwood. From an ash tree sourced in Lancaster County, Pennsylvania. Dimensions: 6′ long x 36″ wide x 28.5″ high.